WASHINGTON, Apr 17 2013 (IPS) - Public debate here over the military prison at Guantanamo Bay heated up again following Monday’s surprise publication of a highly charged article by an inmate at the prison, one of dozens currently engaged in a months-long hunger strike over detainees’ “indefinite detention”. The op-ed follows just days after the head U.N. official in charge of human rights, Navi Pillay, said the indefinite detention of Guantanamo Bay inmates runs counter to international law, and called again for the prison to be closed. “I’ve been on a hunger strike since Feb. 10 and have lost well over 30 pounds. I will not eat until they restore my dignity,” Samir Naji al Hasan Moqbel, a Yemeni national who has been imprisoned in Guantanamo Bay for the past 11 years, wrote in the New York Times. Moqbel is one of 43 prisoners at the U.S. military camp who are currently on a hunger strike. His essay, which has received widespread attention, is not being interpreted as a plea of his innocence. Rather, many are seeing it as a testimony of the hopeless despair caused by the indefinite detention of detainees at Guantanamo Bay. The essay also adds to pressure on President Obama to close Guantanamo, a pledge he made during the first year of his presidency, in 2009. Obama is facing widespread criticism now that the Guantanamo Bay prison has surpassed the two wars his presidency inherited. 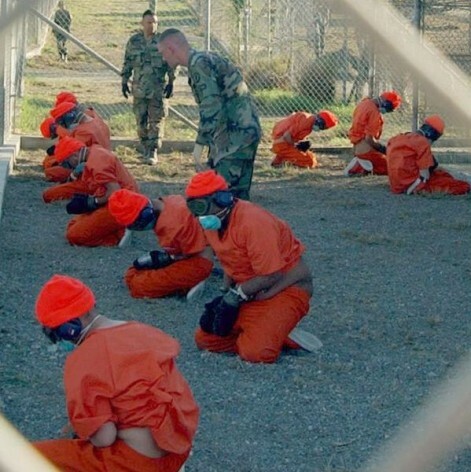 “President Obama ran on a platform that he would close down Guantanamo and bring the United States back in compliance with international human rights law – but none of this happened,” Susan Hu, a legal fellow at the Center for Constitutional Rights, and advocacy group representing some of the Guantanamo detainees, told IPS. Hu says her clients have consistently said they are falling into despair, reaching a point that refusing to eat is the only way they can express their loss of hope. She also is clear that the onus is on President Obama to act. “I think there is widespread misconception that Congress is the obstacle to releasing the prisoners in Guantanamo, when in fact President Obama needs to be taken to task for not using his power,” Hu continues. Despite keeping related criticism relatively contained during his first four-year term, the situation has taken a dramatic turn following the president’s signing, in January, of a defence bill that critics claim all but abandons the pledge to close the facility. That legislation, the National Defense Authorisation Act (NDAA), barred the transfer of Guantanamo Bay detainees to the United States for any purpose, including for trial in federal court. It also required the defence secretary to meet rigorous conditions before any detainee could be returned to his own country or resettled in a third country. “That bill requires certification from every agency that has a stake in the matter in order for a prisoner that was cleared for release to be transferred back to their home country or transferred out,” Hu told IPS. Previously, the U.S. government had been able to simply transfer a detainee who had pled guilty during military prosecution and served his time. But the NDAA provision effectively removed the ability to reach plea agreements or to push through promises already made to release inmates. Yet Hu says it remains possible to transfer prisoners back to their home countries and close down the prison as Obama still has the authority to do so – despite having failed to exercise that power over the past two years. “He is putting all the blame on Congress, when in fact he still possess the power to follow through with the his promise to close the prison,” Hu says. Meanwhile, signs of the growing frustration on the part of detainees have manifested in a wave of hunger strikes in recent months, leading Guantanamo officials to engage in mass forced feedings. That process reached a new height last month when tensions escalated to become violent between detainees and prison guards. “From what we’ve heard from our own clients there, the majority of the men in Camp 5 and Camp 6 are on hunger strike,” Hu told IPS. Guards are also reportedly moving prisoners out of communal areas and placing them en masse in solitary confinement.